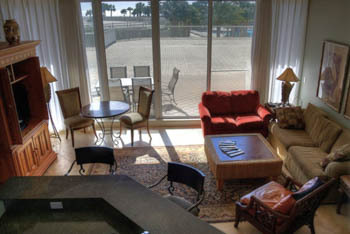 Compass Resorts vacation homes have highlighted many in-vogue styles over the years. From West Indies to Caribbean motifs, our resort rentals like to keep up with the trends. While some design changes are slight, others are complete overhauls. We want to invite you on our journey featuring the before and after of some of our favorite remodels. Here are three of our biggest vacation home transformations to kick off our four-part rental reno series! 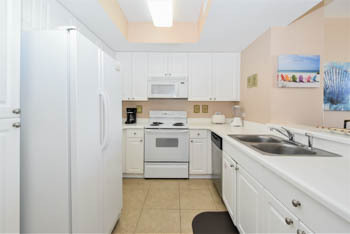 Before its remodel, St. Croix 802 featured appliances and furniture that started to look heavy and outdated. 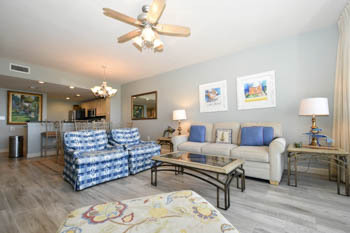 Now, a sunny coastal theme is consistent throughout the vacation rental. 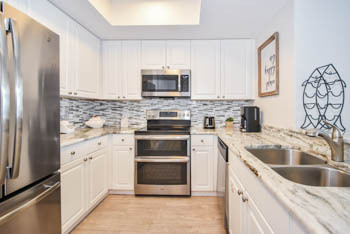 Stainless steel appliances and a dazzling backsplash are the new focal point of the home bringing everyone together in the kitchen. 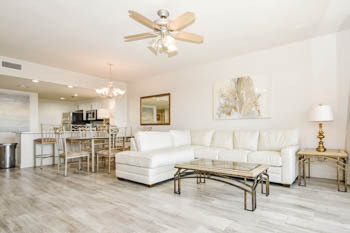 Bright blues, teals, and whites paired with light furniture, sleek accessories, and frameless showers emphasize the luxury beachfront experience you can expect staying at Silver Shells Beach Resort. See more of St. Croix 802's transformation by clicking View Gallery at the bottom of this page. Originally outfitted in old Southern charm, Sterling Shores 417 had outdoor and floral artwork, gingham patterns, and ornate accessories. However, this vacation home swapped shabby chic for luxe style. Staying in Sterling Shores 417 now feels like staying at a spa! The interior is entirely white and gray with accents of marble and gold. Modern appliances, flooring, and furnishings revamp this vacation home into an elegant beach escape. See more of Sterling Shore 417's transformation by clicking View Gallery at the bottom of this page. Recently purchased and completely renovated, Croix 201 is one of the biggest transformations we’ve seen to date. 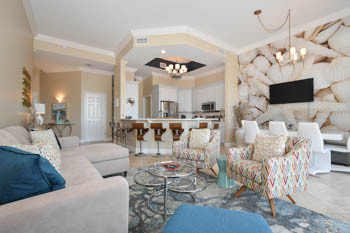 It received a floor-to-ceiling makeover and is now a shining example of style for other resort rentals. Light, calming colors and retro furnishings reveal how spacious and unique the vacation home is. Seaside inspiration and whimsical style bring each room to life for a memorable holiday on the coast. See more of St. Croix 201's transformation by clicking View Gallery at the bottom of this page. As times change, so do trends. It is our everlasting goal for each vacation home to stay fresh, contemporary, and inviting. Follow us over the next four weeks as we highlight rental renos that reflect the latest interior designs on the Gulf Coast! Make sure you follow us on social media and subscribe to our email for the rest of the series!